To stay informed of discussions with members, get answers to questions, receive the latest information related to their interests. Your users are notified by email of interactions. 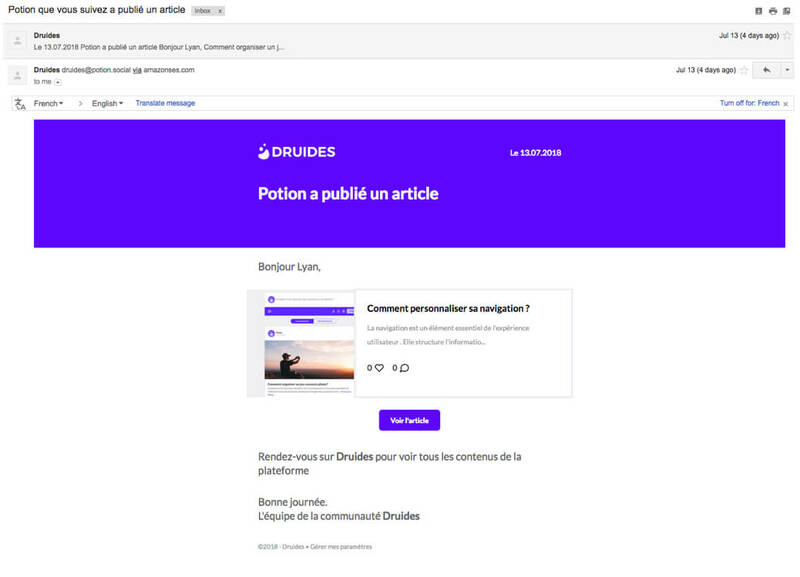 To retain and engage your members, Potion has an optimized email notification generator to inform without spammer: latest posted statuses, interactions on its publications, news, it automatically adapts to consolidate emails or choose visual information when it becomes necessary. It is easy to control the sending of email notifications. Do not drown your email users and control the frequency of sending your email summary. Send all your users emails, incorporate a specific status to target the interaction and push content. An active community platform should alert its users regularly. For it to be lively, lively, do not leave the user without news for several days. 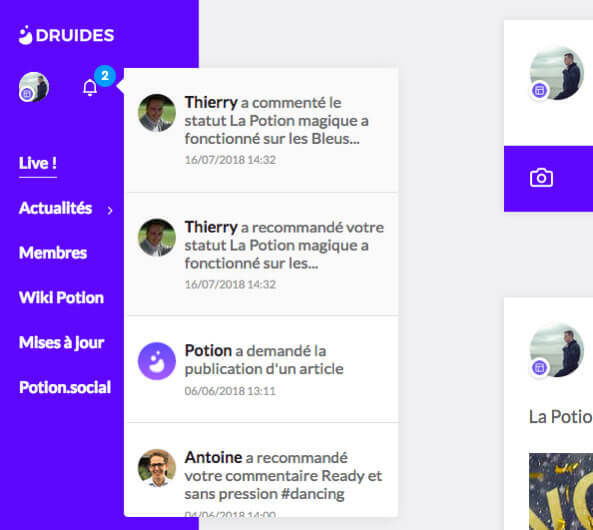 Potion sets up several notification systems that, without spamming, will bring back members of your community. There are two types of notifications, e-mail notifications and visual notifications. By default Potion offers you about 40 types of mails. 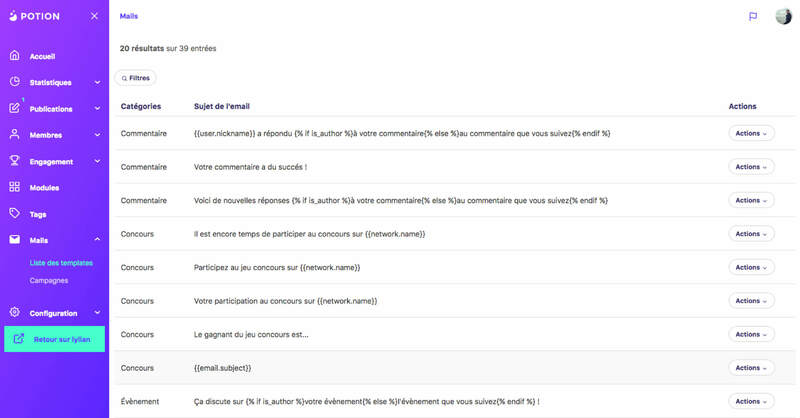 Our emails automatically adapt to the style of your community and have been tested to work on most email readers. To give you even more control, all their content is fully customizable! 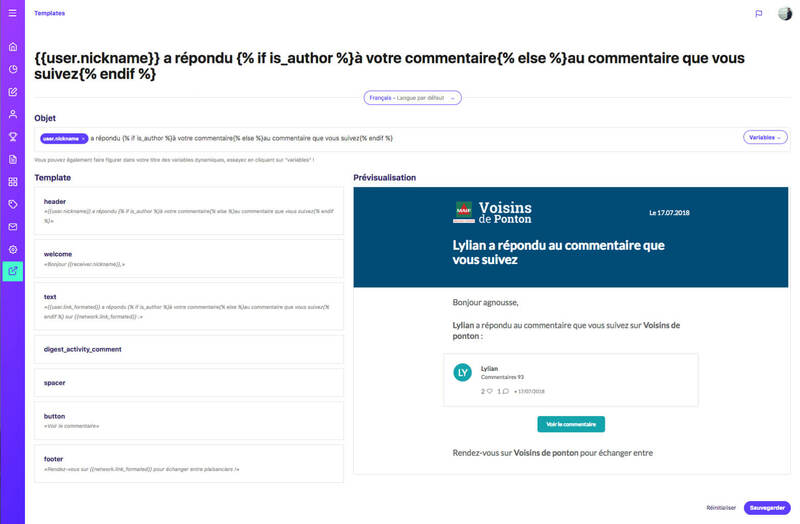 Community interactions automatically trigger real-time notifications to affected users. Notifications easily trigger interactions between your users and keep you up-to-date on the latest community news. Potion adapts to any type of screen, notifications and emails are fully searchable on mobile devices. Set up email notifications for your platform with advanced options to create condensed emails so your users do not drown out multiple emails. All mails can also be modified to transmit the message you want.